Researchers at the prestigious Salk Institute are reporting that they have managed to map the molecular structure of a CRISPR enzyme that could allow scientists to more precisely manipulate functions within cells. Over the past several years, CRISPR-Cas9 has seized the public imagination for its ability to edit genetic code in a way that may correct defects inside individual cells — potentially healing mutations and preventing the advent of many illnesses. Specifically, Cas9 enzymes act sort of like scissors, snipping away pieces of genetic code and swapping them out with a replacement. But these enzymes target DNA, which is the fundamental building block for the development of an organism, and there are growing concerns that using the enzyme to essentially reprogram the DNA of a cell may cause more harm than good. 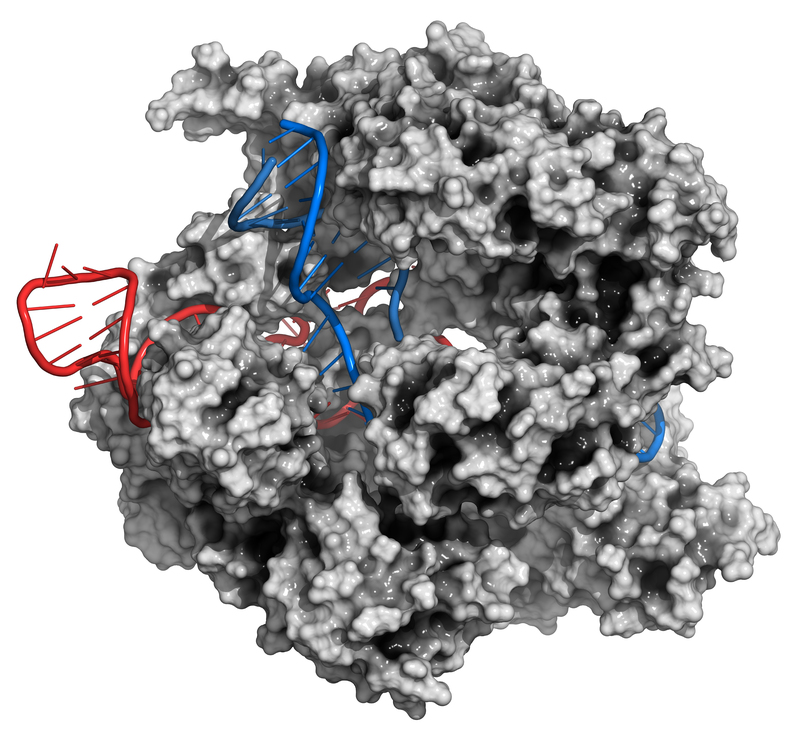 The new findings from the Salk Institute, published in the journal Cell, provide the detailed molecular structure of CRISPR-Cas13d, an enzyme that can target RNA instead of DNA. Once thought to just be the delivery mechanism for instructions encoded in DNA for cell operations, RNA is now known to carry out biochemical reactions like enzymes, and serve their own regulatory functions in cells. By identifying an enzyme that can target the mechanisms by which cells operate, rather than the overall plan for cellular function, scientists should be able to come up with even more highly refined treatments with fewer risks. Put more simply, having editing tools can allow scientists to modify a gene’s activity without making permanent — and potentially dangerous — changes to the gene itself seems like a good option to explore. Researchers at Salk first identified the family of enzymes they’re calling CRISPR-Cas13d earlier this year and suggested that this alternate system could recognize and cut RNA. Their first work was around dementia treatment, and the team showed that the tool could be used to correct protein imbalances in cells of dementia patients. The paper’s other authors were Nicholas J. Brideau and Peter Lotfy of Salk; Xuebing Wu of the Whitehead Institute for Biomedical Research; and Scott J. Novick, Timothy Strutzenberg and Patrick R. Griffin of The Scripps Research Institute, according to a statement.